Calling all BreadTalk fans and avid bakers! 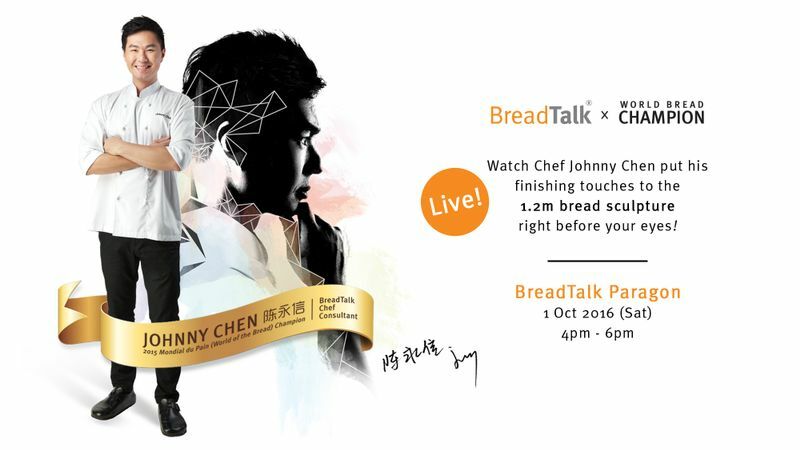 Join Taiwanese Chef Johnny Chen, champion of the prestigious 2015 Mondial du Pain competition, as he launches his first Masterpiece Premium Collection with BreadTalk. Sample the new range, watch Chef Johnny bring bread to life with a 1.2m bread sculpture and pick up expert baking tips as he showcases his technique in creating BreadTalk’s most beautiful buns to date!